When using a smart TV, you might be tempted to use it to install apps and start them directly from within the TV interface. After all, this means no additional hardware on your living room. Perhaps it will look neat to your visitors. However, there are several reasons why you should not install apps such as Kodi directly on your TV. First things first, we told you some months ago that Smart TVs are dead, and that you should buy a normal TV instead, with no smart capabilities. However, if you still got a smart TV and are wondering now whether to install Kodi on Smart TV or not, let us tell you why this might be a bad idea. Should you install Kodi directly on your Smart TV? Here are some reasons why that might be a bad idea. Install Kodi on Smart TV? Why not? By having a dedicated media box, you can expand your customization options wider than you could if you only used the options on your TV. Adding external storage, adding more applications besides Kodi, using your mobile phone as a remote with applications such as Kore or Yatse. If you use a Smart TV with Kodi you will probably have less hardware around, but your options to use that hardware will reduce as well. Usually, media player devices are small. This means you can just disconnect them and carry them with you on a backpack or bag. 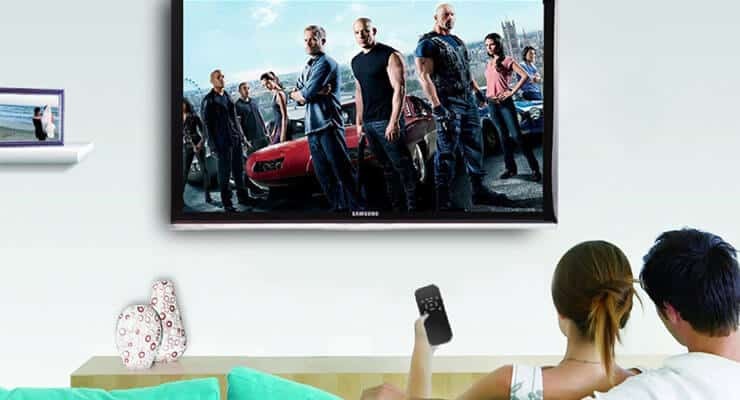 With the device, you carry your settings and applications, and you just have to find a suitable display device (TV or monitor) with an appropriate connection (usually HDMI) in order to enjoy your content. This is even better if you choose an Android media stick as your media player. It is possible to invest on a separate media player that will have better hardware specifications than your TV device. This will make your media playback faster and in general offer a better experience. The hardware built-in with TVs might be limited or not offer a great experience if you install Kodi on smart TV software directly. On the other hand, hardware might be optimized to reproduce video from inputs instead of processing data, which might also have an impact on performance. Media player devices can pack quite a punch in a portable volume. Suppose that after manipulating software and installing apps your preferred device malfunctions. It is way better to have a separate device to replace or repair, than being forced to replace or repair the entire TV set if you install Kodi on smart TV. This makes a compelling argument too for having your storage movies separate and saved on a NAS or home server, but that's another topic entirely. Android is a versatile OS option for you to get many apps installed on your setup. Perhaps these arguments are not enough to convince you. In this case, if you want a smart TV, try to find an Android one. Some brands push TV models with Android out of the box. Android is customizable and lots of apps can be installed on it. Wherever you install Kodi, you can use it to watch movies and TV shows. Install one of these best Kodi movies addons to enhance your experience. Also have a look at these Kodi live TV addons you can use. Get the best content on your media player or TV with Kodi!